Some say that Day 3 or 4 are the hardest when you are dieting or on a detox. Any sort of limitation always gets you thinking more about exactly what you cannot have. Yeah. Right. That would be a big N-O. That’s where I lost it last Friday night, sitting in Red Tavern with 5 other people and 5 bottles of wine. Oh well, at least I made it to 11 days. I also continued to eat healthily on Day 12 and finish the last of my supplement pills. However, after that line had been crossed in my mind (and my stomach), the detox stopped being enjoyable and was starting to become annoying. Healthy food also started to annoy me. 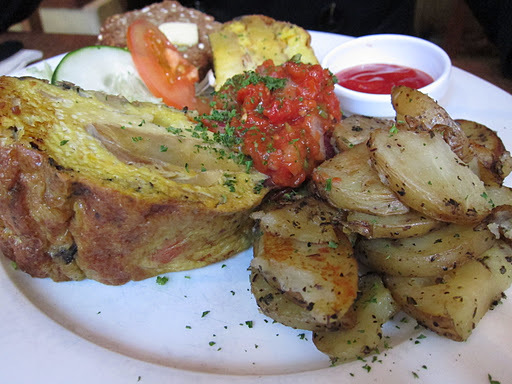 We went to Life Cafe (again) for lunch and we were superbly unimpressed with our food. The frittata had been reheated, and to my eyes the egg was taking on that dull grey-ish hue that eggs can become when they’re more than a few hours old. 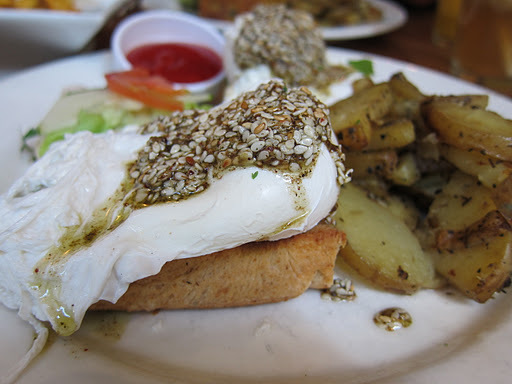 I was thoroughly unexcited by the poached egg with za’atar. The dish had not been seasoned at all, and when we asked for salt and pepper, the staff gave us a large table salt dispenser, which shouldn’t have been given to a customer because it contained rice grains and was obviously meant for the kitchen. All of the dispensing holes were large enough to let the rice through, which meant we had to pick out individual grains from our meal. 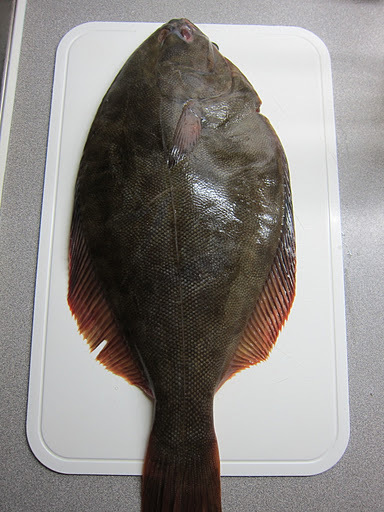 I had ordered whole fish for the first time from South Stream Seafoods (SSS), and wanted to try a baked flounder recipe that evening for dinner. I was quite excited about the fresh fish that is advertised by SSS, but when I took it out of the bag, the overwhelming smell indicated that perhaps it used to be fresh! It was still edible, so we continued with the recipe, but the smell lingered throughout the cooking process and remained in the final dish when it was plated, altogether a little unpleasant. 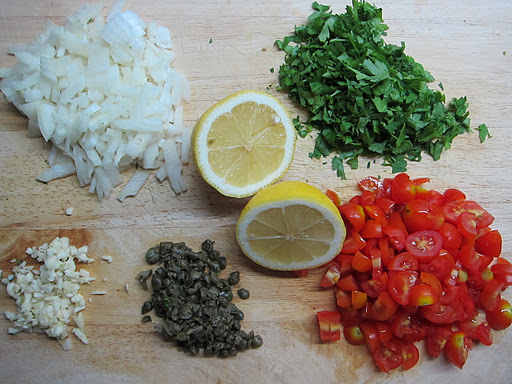 We ate some but didn’t finish it – the caper and tomato dressing that we made was quite tasty though, reminiscent of a sunshine-y summer in Provence! 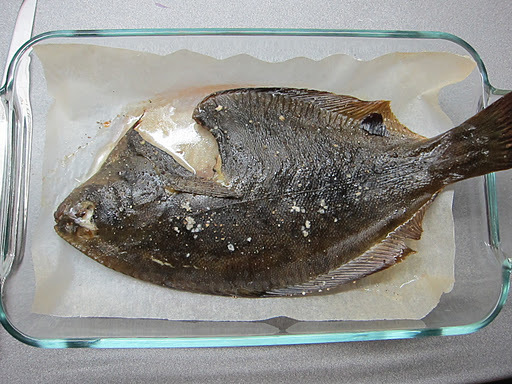 Preheat the oven to 425 F/218 C.
To prepare the flounder, rise the fish and pat dry. Brush both sides of the fish with olive oil, then place in a roasting dish lined with baking parchment (so the skin won’t stick). Place the fish white skin side down in the dish, and bake until the flesh pulls away easily from the bone, about 18-20 minutes. While the fish is cooking, prepare the dressing. Combine all of the ingredients with the olive oil and cook over low heat until warm, for about 2-3 minutes. Allow the mixture to steep for a while for the flavours to develop and combin. Using a knife, lift the backbone and the tailbone and set aside. Separate the bottom fillets and plate them. 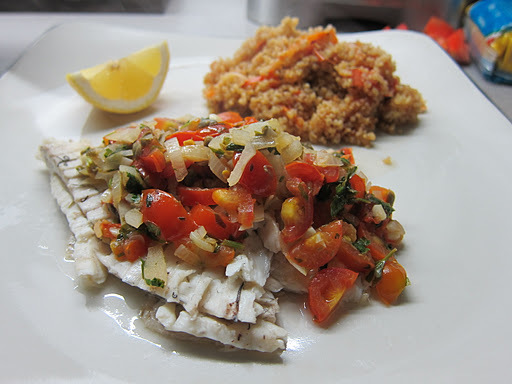 We ate the fish with a rice (quinoa for me!) 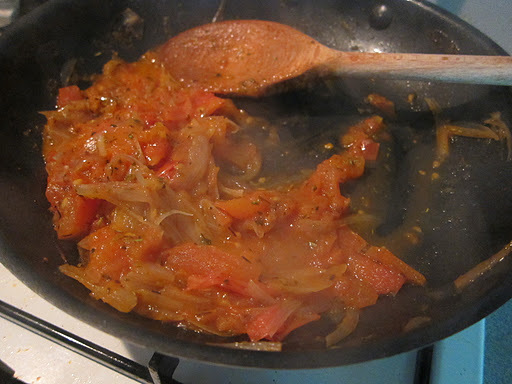 mixed with a cooked tomato and shallot sauce. Hi there, I came across your blog by randomly searching for Wild Rose Detox, great posts! I’m just wondering, how much weight did you lose by the end of the detox? Would you recommend other people doing it? 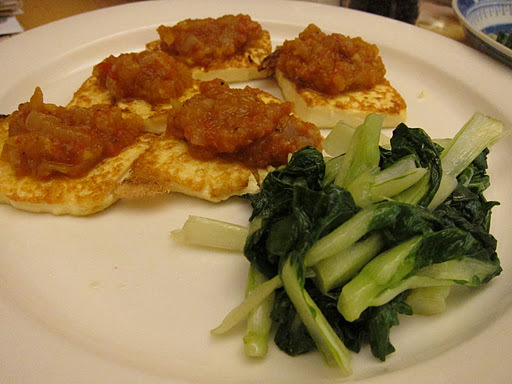 I see that the ingredients are not that difficult to follow as I cook Chinese dishes at home with similar ingredients anyway (except for soy sauce and starch thickening which is hard to get rid of). I’m about to start mine but I’m worried about how it would affect dining out as Chinese New Year celebration is coming up shortly. Good luck – you’ll feel great afterwards! Hi Joyce! Thanks for reading – here we are almost one year later and Chinese New Year is approaching once more 🙂 it’s a great detox and cutting out processed foods, sugar, dairy and alcohol make you feel really great afterwards! The ingredients are not that difficult but it takes effort and time – there will be times when you are tempted to fall off the wagon. Do yourself a favour and try to avoid temptations as much as possible. I don’t know about you, but saying no to suckling pig and lucky noodles would be too difficult for me 🤓 why not start your detox immediately after CNY?